Hong Kong Airlines and EL AL Israel Airlines have entered into a codeshare agreement. Subject to government approval, Hong Kong Airlines will place its “HX” code on EL AL’s flights between Hong Kong and Tel Aviv. Reciprocally, EL AL will add its “LY” code on Hong Kong Airlines flights between Hong Kong and Auckland in New Zealand, Tokyo (Narita) and Osaka in Japan, as well as Seoul in South Korea. The codeshare agreement opens up a new and exciting travel destination for Hong Kong Airlines customers. Recognised as a global city, Tel Aviv boasts one of the largest economies in the region and is also the financial and technological hub of Israel. Often referred to as “the city that never stops”, Tel Aviv welcomes millions of business and leisure travellers around the world annually, with many enjoying a unique blend of modern and cultural vibes in the city. EL AL currently operates six weekly flights between Hong Kong and Tel Aviv with its brand-new Boeing 787-9 Dreamliner. 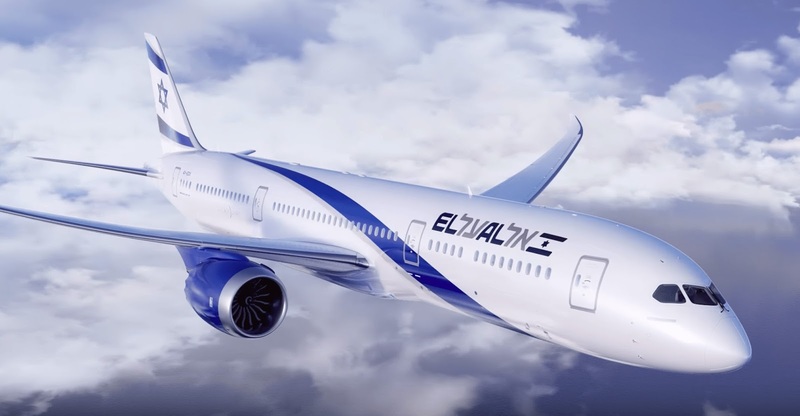 Featuring a three-class configuration, EL AL’s Boeing 787-9 offers 32 seats in Business Class, 28 in Premium Economy Class, and 222 seats in Economy Class. As an added benefit, members of Hong Kong Airlines’ frequent flyer programme, Fortune Wings Club can earn loyalty points when they travel on EL AL codeshare flights, similar to when they travel on Hong Kong Airlines-operated services. The codeshare agreement will also enable EL AL to add destinations in New Zealand, Japan and Korea to its growing network around the globe, strengthening its presence in Asia Pacific. Customers of Israel’s flag carrier will now benefit from one-stop travel connections to Auckland, Tokyo Narita, Osaka, and Seoul via Hong Kong. Hong Kong Airlines currently serves the New Zealand city five-times weekly and offers multiple daily frequencies to the other popular Asian cities. EL AL customers travelling in Business Class on Hong Kong Airlines will also enjoy exclusive access to the airline’s flagship lounge, Club Autus at Hong Kong International Airport. The lounge features a suite of facilities that cater to every traveller’s need, including one of the longest food hall and shower facilities for connecting travellers seeking to refresh before a flight. “In offering codeshare flights with Hong Kong Airlines via the Hong Kong hub, we are able to expand the options for our EL AL customers to various cities throughout the region,” said Michael Strassburger, Vice President of Commercial and Industry Affairs at EL AL. 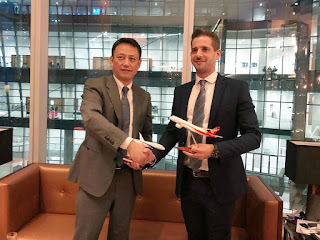 “Hong Kong Airlines is a pivotal partner for EL AL as they will also be codesharing on the EL AL flights from Hong Kong to Tel Aviv and we are excited about the opportunities with such a dynamic airline,” he added.